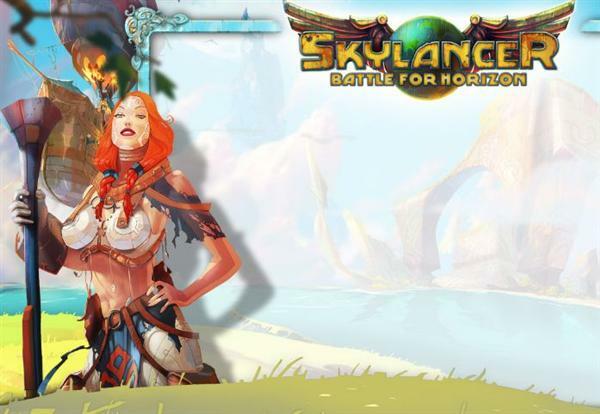 Skylancer – Battle For Horizon is a free to play online browser game, where strategy and tactics are as important as a love for adventure and exploration! Explore the fantastic world of Horizon with your own floating island, fight dangerous creatures, pirates and other Skylancers, and build your faction with a tower to the moon with your faction in anticipation of fabled treasure. 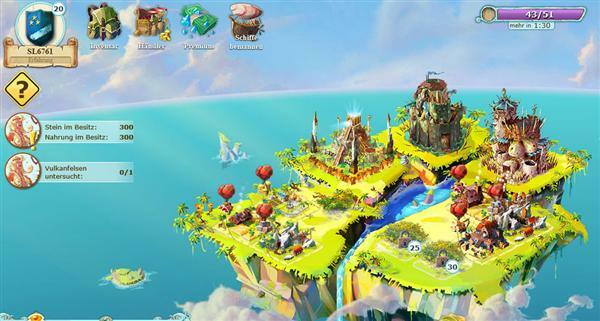 Building Strategy: Build a city on your own floating island. Fearless sailors, experienced carpenters and settlers will be eager to follow you on your island…hopefully! To be successful and compete in the world of Horizon, you’ll need many helping hands. Expeditions to distant lands will need to be well planned! Building materials and food will be scarce, and dangerous monsters and pirates are on the loose in the seas. Without warriors to fight for you and your cause, you won’t last long. Which path will you choose? Will you travel the seas as a noble hero, helping the poor and innocent? Will you become famous as a mighty warrior who throws himself into the war for the embattled continent? Are you an adventurer and treasure seeker who goes in search of hidden artifacts and lost treasures? Regulate your supply of resources with various expendable resource buildings such as sawmills, quarries, and farms. Improve the efficiency of your business! Each building offers you many potential economic effects, which can be improved. Build a variety of buildings to gain new units: install temples to bring the dead back to life, summon warriors from forts or raise wild animals from nests! Three types of buildings, each with seven development stages let you create 24 new units! Tactical PvP and PvE battles: Choose the types of units that match your playing style. The sinister creatures of the temple are all dark priests and undead minions: not as strong and skillful in battle as other warriors, but incredibly stubborn and difficult to defeat. Dark magic and curses are their specialty. Unlock these units! The barbaric warriors of the fortress are notorious for their surprise assaults: They strike hard and fast, breaking through the enemy lines before they even know what’s going on. The trained war beasts from the nests trample everything in their path relentlessly in battle. Beasts are the most powerful creatures, but they require guidance from their masters. Each unit has an individual skill. Sea snakes poison their enemies with their deadly bite, wild berserkers rage into battle, beating everything in their path, while sinister voodoo priestesses revive the dead. Additional tactical depth: Select airships, troops and equipment. Ships are the homebase of your units – bigger ships can carry more troops into battle. Better ships will offer more protection and increase the morale of your army. Different weapons, shields and artifacts will improve the attributes of your troops. Constantly try to find better gear to increase their effectiveness. Use the individual skills of your units to your advantage – only the right combination of ships, troops and equipment will lead you to victory! Much to discover: Explore a vibrant world full of wonder and mysteries. A unique, beautifully designed world is waiting for you – Horizon presents challenges and secrets in every corner! Hundreds of unique quests to be mastered. Embark on exciting expeditions into the unknown on five different continents. Fight your way through the impenetrable jungles of the Green Hell of Mayar, the burning desert sands of Katari in search for traces of the defunct Stygian realm, or dare to explore the crate of Mount Iskarl, the largest volcano in all of Horizon. Real challenges – the expeditions on the continent are certainly tough to beat, even for experienced players. 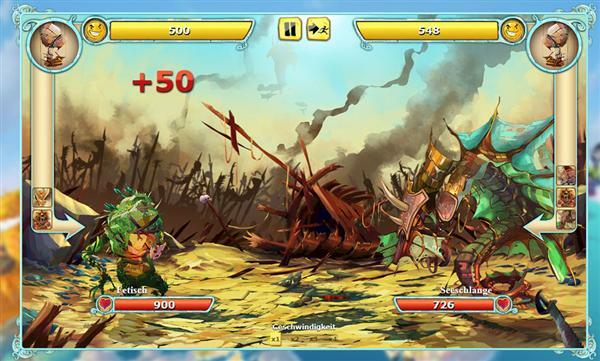 Tough fights with dangerous opponents line the way to an epic boss fight. But it’s all worth it: mysterious artifacts, stolen treasures and powerful equipment can be found here. Always exciting: Three factions fight for supremacy on Horizon. The aggressive and expansionist Empire, the great military power of Horizon. The imperial army is known for their discipline, obedience and their cruel efficiency. The Alliance is an alliance of Horizon’s free nations. The last vestiges of independent kingdoms, small island states and many free sky farmers belong to it. They fight for peace in the seas and skies. The Renegades are a loose alliance of freedom-loving Skylancers, adventurers, smugglers, pirates and explorers. The Renegades have no regard for regulations and rules, though some of the best and most daring Skylancers can be found among their ranks. All three factions are locked in a battle for supremacy on the continents. Only those who control them can launch expeditions there and only they can capture the valuable material needed for the moon tower. Fight side by side with the other players of your faction in epic PvP battles for control of the continents. Only together can you emerge victorious! The moon is the mythical home of a sophisticated, long-forgotten people. Even today, its surface is filled with ancient ruins and mysterious artifacts, their technology surpassing everything known on Horizon. Help your faction in the construction of a huge tower that will reach out to the moon! If this succeeds, the moon can be captured and explored for a few days. But hurry up, because the moon will soon break free and allow for others to exploit the opportunity. Each group will try to race to the moon, occupying as many continents as possible. Related Tags: Alaplaya, Skylancer, strategy.